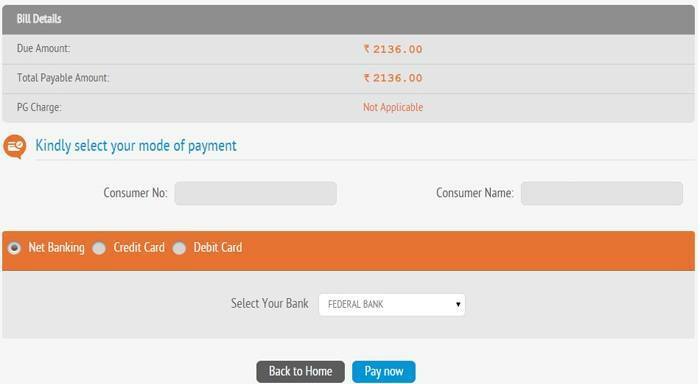 How to pay KSEB Online Payment in www.kseb.in Login? Many electricity board in India has providing the option to pay their electricity bill payment in online. Kerala State Electricity Board is not an exceptional. It provides the KSEB Bill Payment Online facility to their consumers through official KSEB online web portal www.kseb.in login. The Kerala State Electricity Board Ltd or KSEB is an public sector electricity Generation, Transmission and Distribution company owned by the Government of Kerala. It offers the electricity to the Kerala state consumers at affordable cost. Usually, we all pay our KSEB bill payment by visiting KSEB office and standing in a long queues to wait for your turn to come to pay your electricity usage bill. Now, it is time to move from offline mode to online. This KSEB online payment facility is more easy, more secure and time consuming. 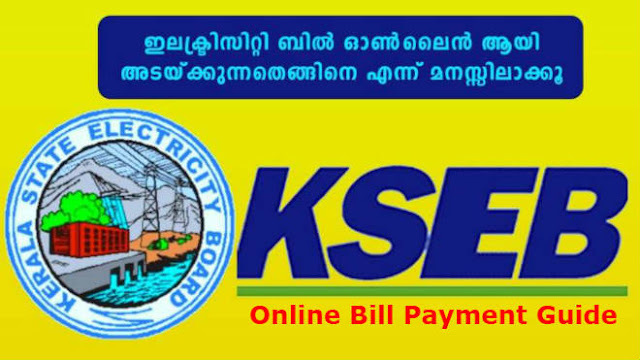 From this guide you can learn make a quick pay your KSEB online bill payment without any hassle. Before going to start a KSEB bill payment make sure you are having the following details to proceed. If you don't know the bill number. No problem, Click here to view your latest Electricity Bill and obtain the bill number by using 13 digit consumer number. It will direct you to 'View Your Latest Bills' page of Kerala State Electricity Board. In KSEB bill view page, select your electrical section and type your 13 digit consumer number. Click 'View bill' button. It will show the bill detail along with bill number, you just note it down for KSEB bill payment section. 2. The page will show the 4 options Quick Pay, Register Compliant, User Guide, Compliant Status. To pay the bill, Click on 'Quick Pay' option. 3. If you have an account already just sign in otherwise make a registration. 4. Now you required to fill the details of choose Electrical Section from drop down menu and fill the 13 digit Consumer Number & KSEB Bill Number. 5. Click on 'Submit to see the bill'. 6. It will show the bill due amount. Now, you should fill the payment amount. Enter the mobile number and email id to receive the bill payment conformation message. Click on 'Proceed to Payment' button. 7. You can choose any one of your convenient payment method from Credit Card / Debit Card / Net Banking. Click 'Pay Now' to complete the KSEB bill payment. After completing the payment you receive the payment successful SMS with bill status to your Mobile and as an email to your E-mail ID, that was entered on when you make the payment. If you have an issue in KSEB bill payment or KSEB oruma bill status contact the KSEB 24/7 customer care support. I hope this post will more useful for your KSEB online bill payment. Still you have any queries regarding this post, feel free to ask to me through comment section. You can also share any suggestions. If you like this post, share with your friends and others through social networks.